Loaf cakes are the ideal afternoon dessert snack that goes really good when combined with a cup of coffee or tea. They aren’t a heavy dessert and they have a simple taste, yet they are so delicious. One slice of loaf cake isn’t enough! These small cakes come in many flavors: vanilla and strawberries to chocolate and pistachio. Pick the one that you find the most delicious and prepare it. Call some friends and share your favorite recipe! Most important of all, have fun! 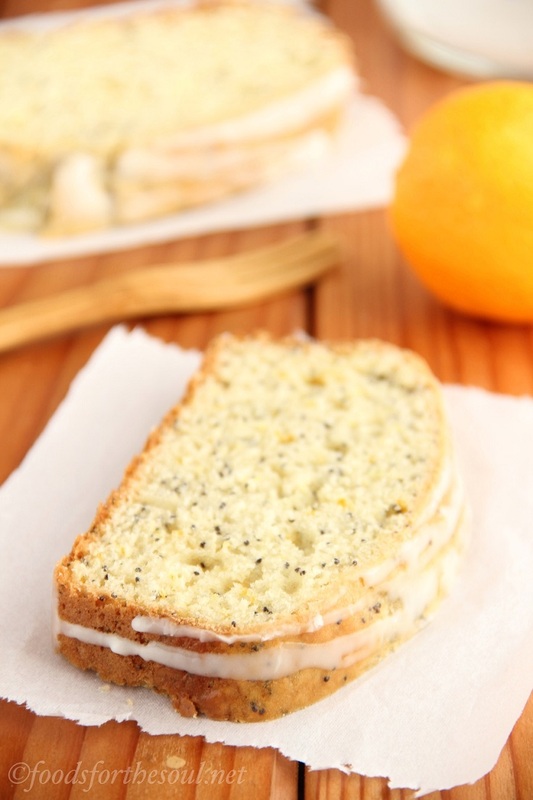 This is a very delicious lemon poppy seed loaf cake with almond or vanilla glaze. The glaze can be vanilla or almond flavored, it’s up to you to decide what extract you are going to choose. The recipe also includes all – purpose flour, but you can use whole wheat pastry flour instead. If you really like this cake’s taste, then you can also try making muffins. The recipe is all the same, you just divide the dough into muffin pan cups. 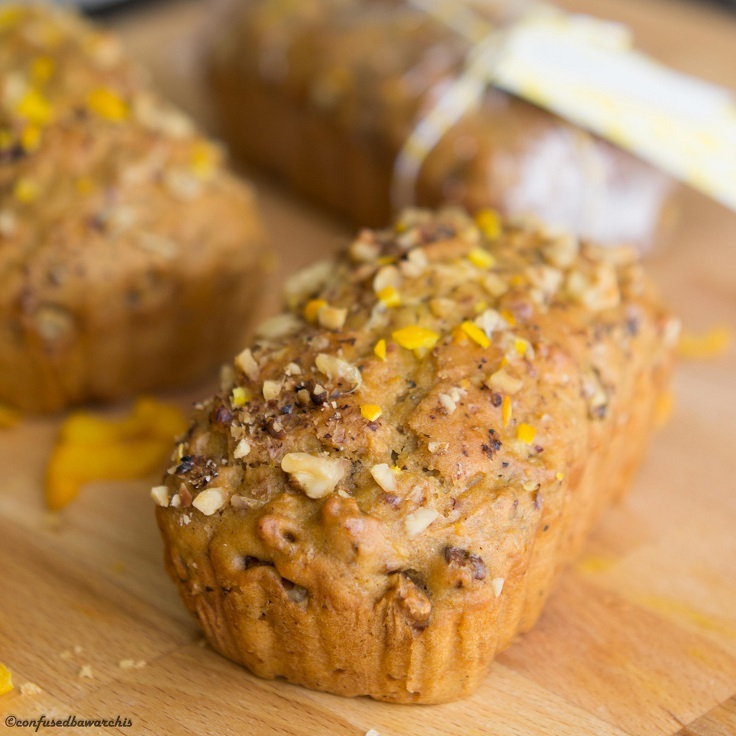 Dried apricots, almonds, orange and vanilla extract and other ingredients that make this loaf cake so delicious that you will want another piece. The loaf cake is ready in less than hour. The baking process lasts for 30 – 35 minutes. If you pack the mini cakes in the right way, with bows and ribbons, they can be a good present to someone who really loves loaf cakes! With Halloween coming soon, making a pumpkin flavored, spiced dessert is definitely must! 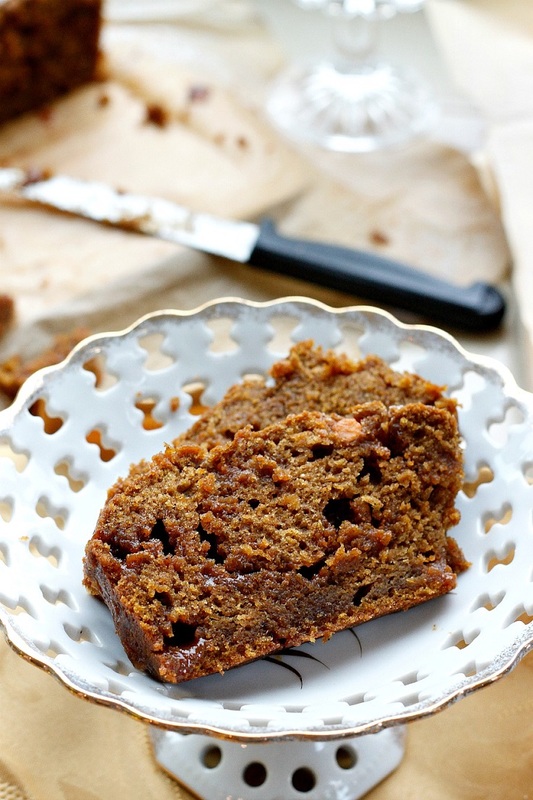 One of the ways you can combine pumpkin with butterscotch chips, cinnamon and applesauce is preparing the Butterscotch Pumpkin Spiced Loaf Cake. The preparation takes 15 minutes, while the baking lasts for one hour. What you’ll get is two loaf cakes, ready to be eaten! If you like cranberries in your dessert, this one will surely satisfy your sweet tooth. It has both dried and fresh cranberries. 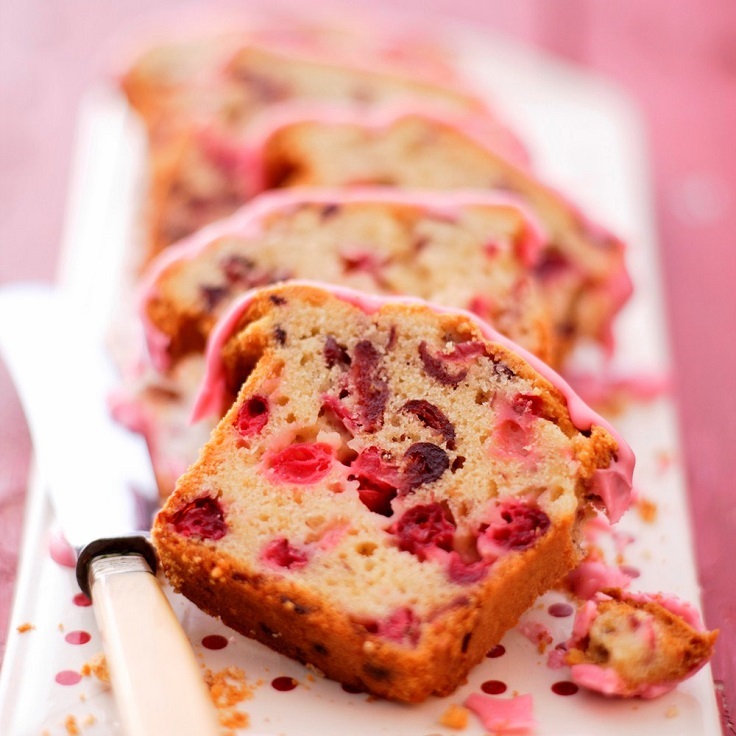 On top of it all, it also has a cranberry glazing, made by mixing cranberry juice with icing sugar. It will take some time to have it ready, but all the waiting will definitely be worth it! 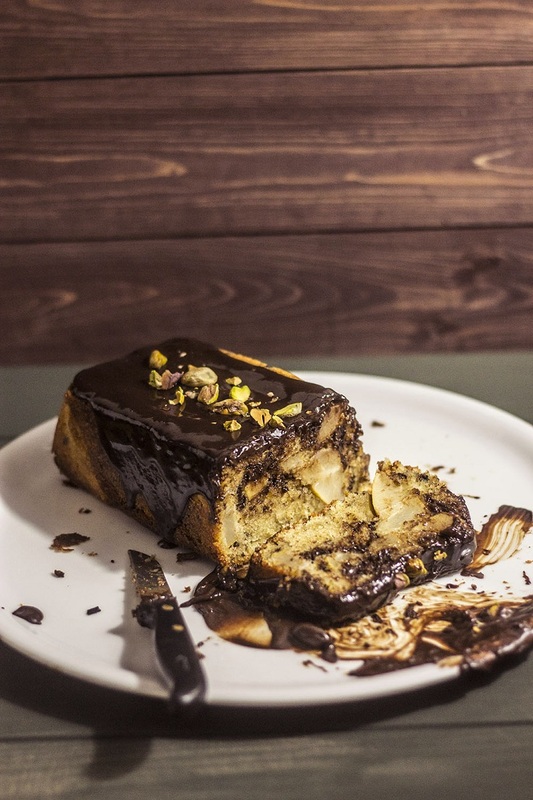 Dark chocolate loaf cake with pear chunks and no shell pistachios, and a dark chocolate ganache. Besides that, you also need soft butter, caster sugar, eggs, plain flour, baking powder and cream for the chocolate ganache. 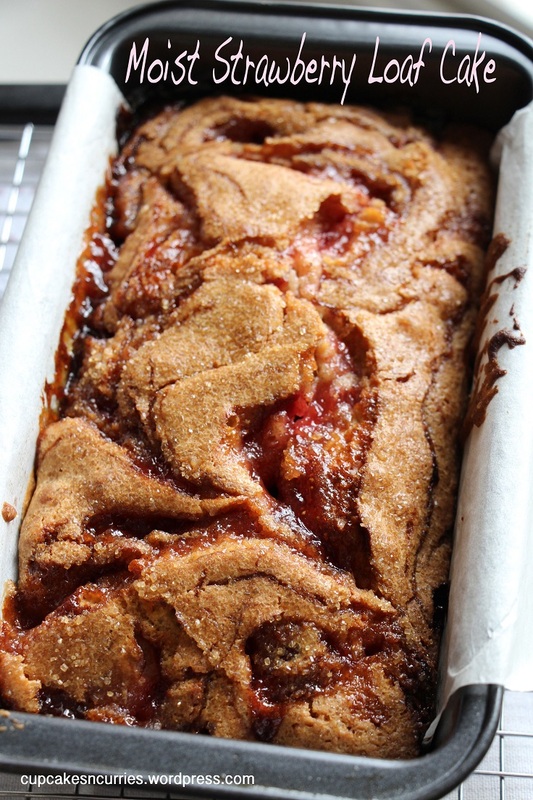 The loaf cake is ready in less than hour and it will take exactly the same time to eat it all. Don’t blame it for being too delicious! Simple and yet so tasty loaf cake. You don’t get to eat this one everyday! So, give it a chance and prepare it. Preparing the cake is really easy and it will only take you 10 minutes. You need tutti fruity cherry, butter, milk, eggs, baking powder, cooking soda, sugar and vanilla essence. 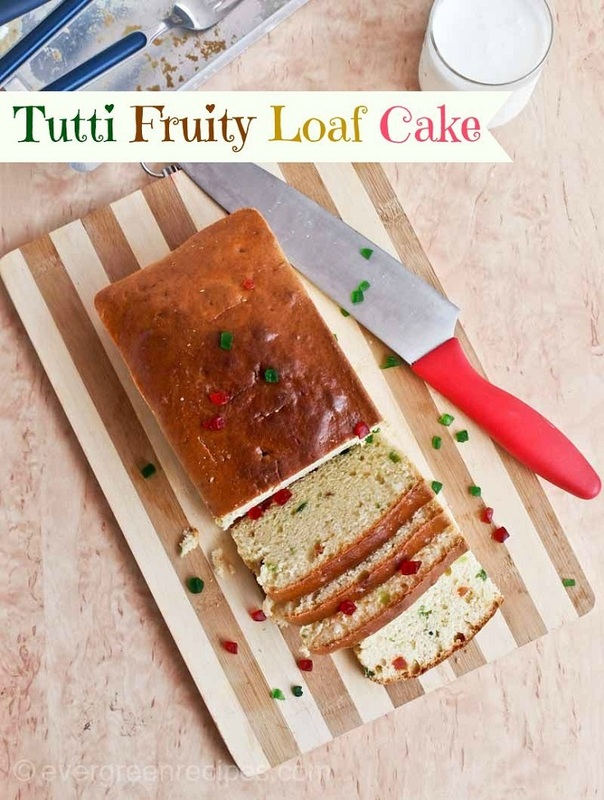 A piece of tutti fruity cake can make your morning really beautiful, especially if you combine it with a glass of milk, cup of coffee or tea. 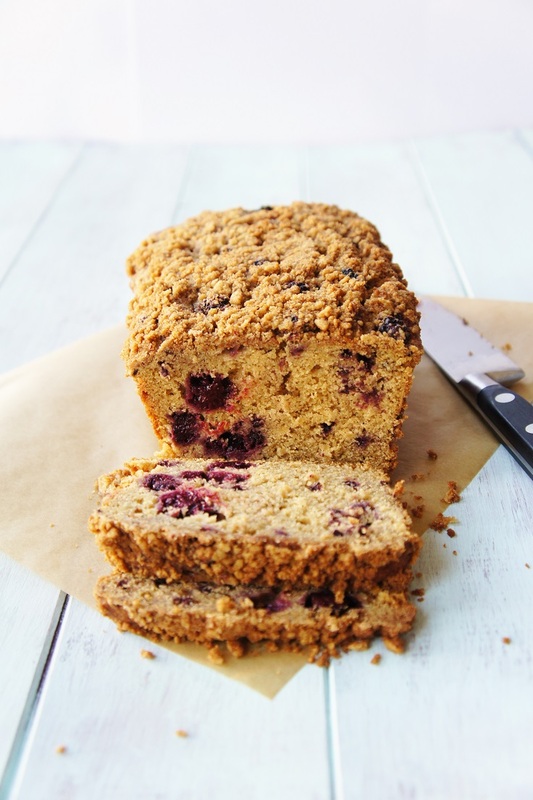 Apples, blackberries and cinnamon go very well together, especially in a loaf cake with a streusel topping. You need plain flour, brown sugar, butter, cinnamon, baking powder, red apples, eggs and blackberries. First prepare the streusel topping and set it aside, and then you can concentrate on preparing the loaf cake. Let’s not forget about the chocolate, even if it’s white chocolate we are talking about. This loaf cakes needs to be prepared ahead and make sure you have unsalted butter, golden caster sugar, eggs, vanilla extract, plain flour, baking powder, ground cinnamon, hazelnuts, white chocolate and milk. Keep some of the white chocolate and hazelnuts for the decoration as well. 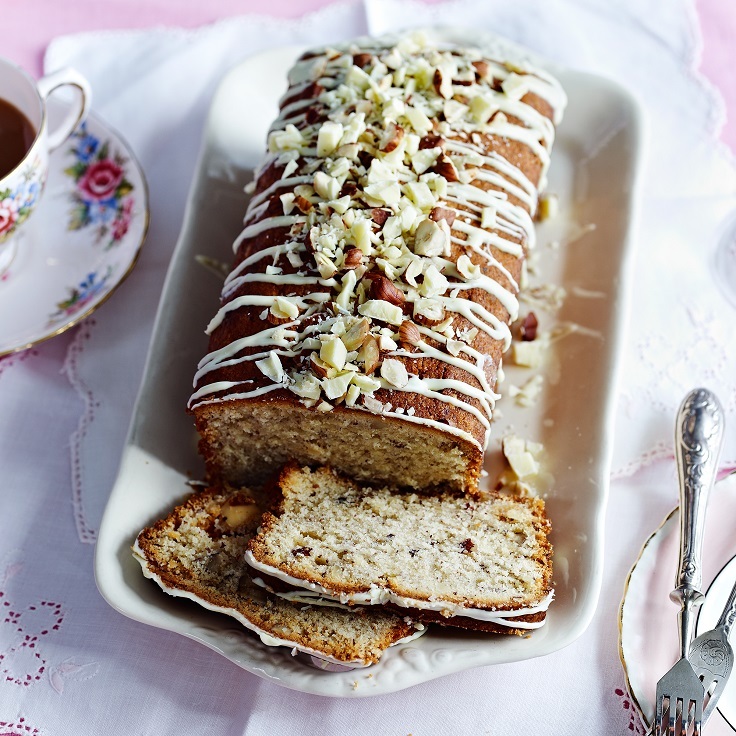 The Whole Wheat Flour and Olive Oil Walnut Loaf Cake deserves your attention. It may not sounds as the most delicious dessert around, but this cake contains many delicious ingredients such as cinnamon and walnuts, which is a great dessert combination. Note that the recipe includes regular yogurt, but you can use Greek one as well, and you can use regular sugar instead of coconut sugar. Time for some fresh strawberries and strawberry jam! Besides these two super tasty ingredients, what you need to prepare the loaf cake is plain flour, baking powder, ground cinnamon, ground cardamom, sea salt, sugar, vegetable oil/grape seed/rice bran or granola, eggs, and Demerara sugar. 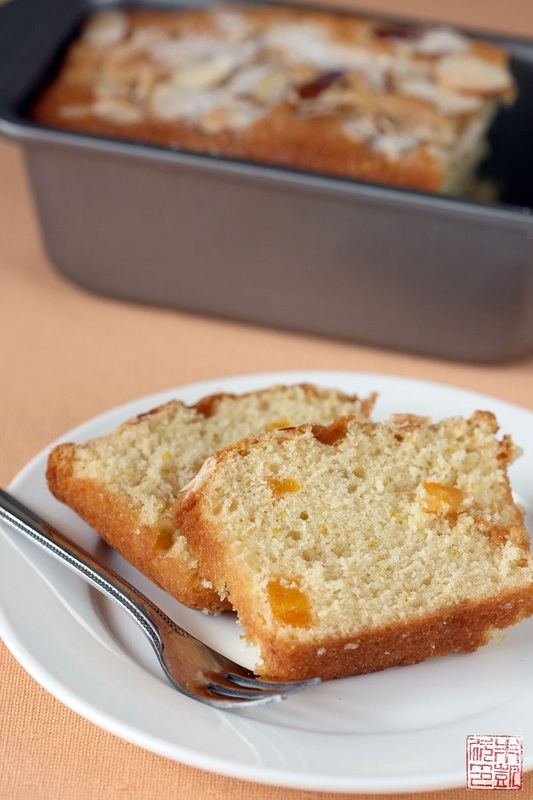 This moist, soft cake will definitely be a good choice for gatherings. Everyone would like another piece of it!